WEST LAFAYETTE, Ind. - Researchers have developed a chip capable of simulating a tumor's "microenvironment" and plan to use the new system to test the effectiveness of nanoparticles and drugs that target cancer. 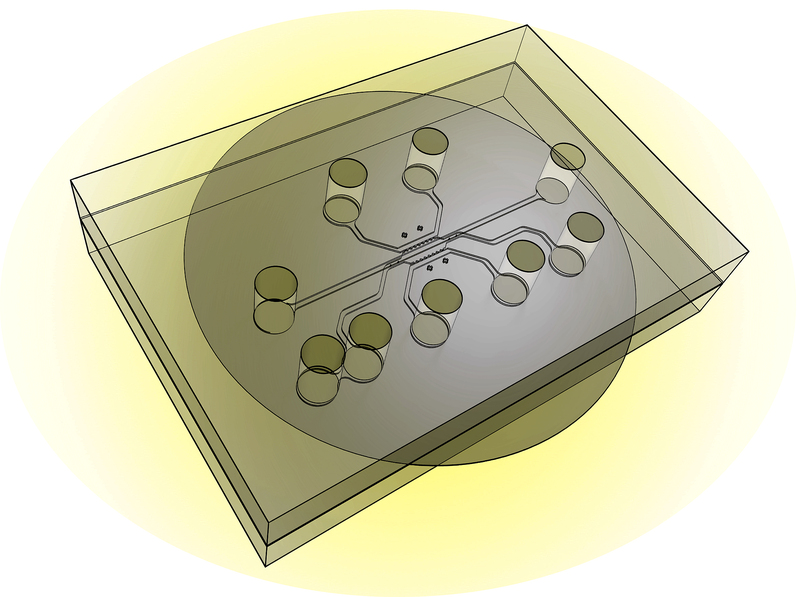 The T-MOC chip is about 4.5 centimeters (1.8 inches) square and contains "microfluidic" channels where tumor cells and endothelial cells are cultured. The chip also incorporates extracellular matrix - a spongy, scaffold-like material made of collagen found between cells in living tissue.